Help CentreUsing SuperControl Configuring my propertyHow do I automatically schedule shorts breaks for late availability? 3. For example, if you enter “14” in this field, it means short breaks will automatically enable if you have availability within the next 14 days. Prev: How can I copy property settings to all properties? 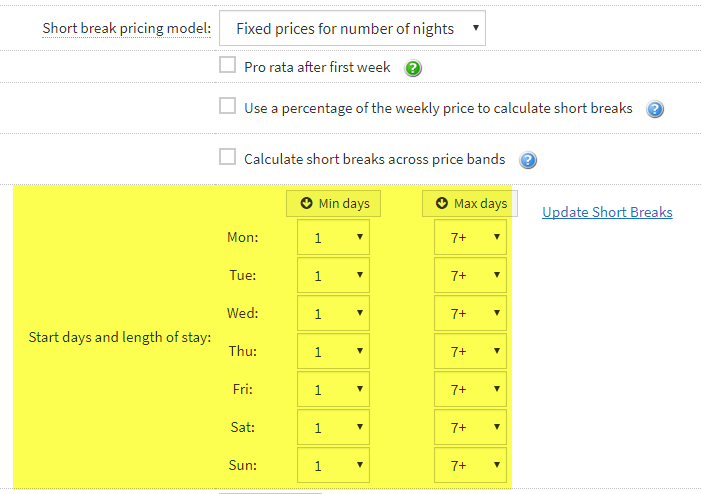 Next: How do I add/edit my short break and weekly prices?